The Melt is now doing burgers. Hallelujah. 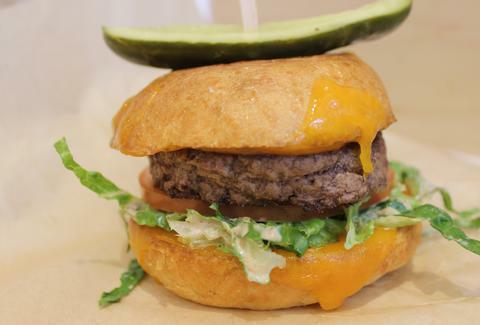 A juicy burger with aged cheddar, lettuce, tomato, and Melt sauce (made in-house), all on a potato bun. 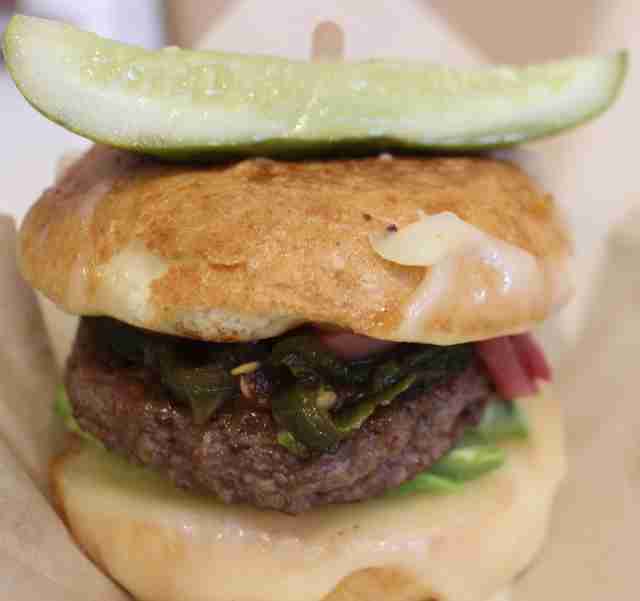 And, in a move that every burger joint should adopt, it's built from the "ground up", meaning all of the fixin's are on the bottom bun and the burger rests on top of them. Except for the cheese. 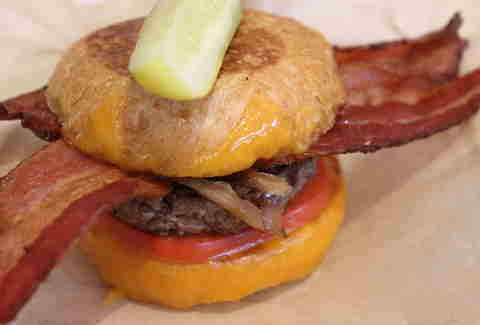 That's melted on BOTH SIDES OF THE BUN to create a happy cheese smile. And it's all yours for just $4.95. There's a definite kick to it, thanks to charred jalapeños and spicy avocado. It's also topped (bottomed?) with Monterey Jack, avocado, and pickled onions, all on a potato bun. It'll run ya $5.95. Hello, burger you're going to order when you want to feel like a man. Or when you just want aged cheddar, really, really, really, REALLY long double bacon, grilled onions, tomato, and BBQ sauce on your burger. Price: $6.95. 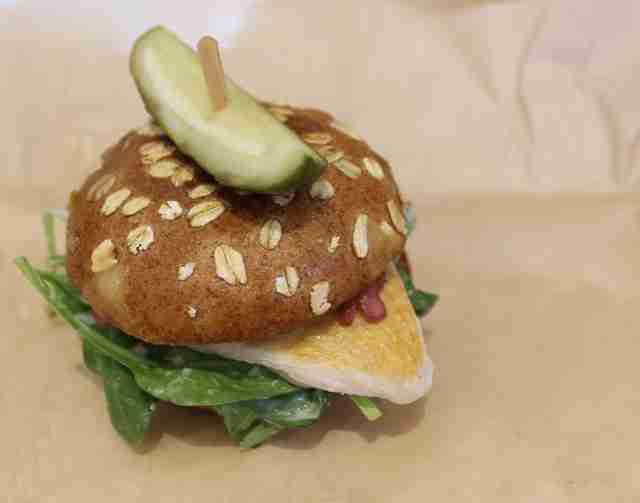 Because sometimes you want to pretend to be healthy, the new menu also includes three chicken melts: The Bird (Fontina, pickled onions, spinach, and Caesar dressing on a wheat bun... pictured! ); The 'Shroom (Monterey Jack, mushrooms, grilled onions, spinach, and spicy brown mustard on a wheat bun); and The Buffalo (Jack & blue, celery, lettuce, and hot sauce on a potato bun). All of them are under $7. 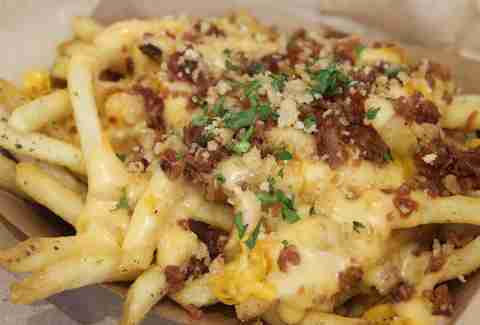 Grab a fork and dig in because, even though you're probably going to order these fries with creamy aged cheddar, Fontina, Jack, crumbled bacon, and crispy onions to share, you're not reallllllly going to want to share all that many of them. For $3.95, you can totally afford to get your own. Just sayin'. 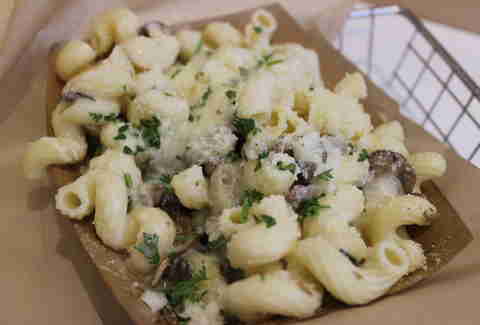 Do you like your mac & cheese with creamy aged cheddar, Fontina, Jack, and crispy onions, or would you prefer it with truffle, Fontina, Provolone, mushrooms, and Parmesan? Oh, and it's considered a "side dish", so maybe pair one with a Caesar or field greens salad. That way you can totally say you had a salad for lunch? Don't worry: The Melt's most popular grilled cheese sandwiches aren't going anywhere. Except into your mouth, obviously. 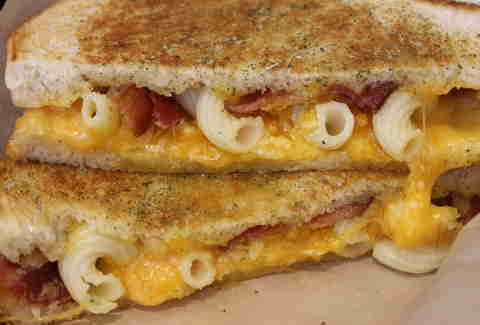 And yes, that's macaroni and bacon on a grilled cheese sandwich. Order it by asking for the Mac Daddy. And then jump jump! 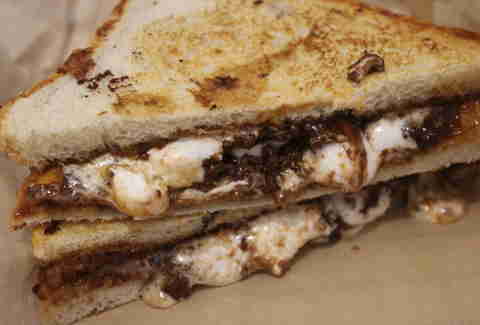 Once it was only available on The Melt's "secret menu", but now anyone (even you) can order the S'more, a chocolate marshmallow melt situation that's just as insane(ly tasty) as you're imagining. Add $1.50 to get it à la mode, because even the best things in life are better with ice cream. Oh, and in case you want to get in on this deliciousness for FREE: head over to The Melt's Facebook page tonight for a secret code that'll get you a burger or chicken melt, a side, and a fountain drink (again: for FREEEEEE) at their Embarcadero Center, New Montgomery St, and Howard St locations tomorrow between noon and 3pm. Happy eating. Daisy Barringer is Thrillist's SF Editor, and though she's never thought to make a s'more sandwich, she does like to add a thin layer of peanut butter to her s'mores when she camps. Thank her for changing your life on Twitter @daisy.